Good morning and welcome to Monday Blogs. All through September, we’re taking a peek at some stupendous science fiction authors. I have the fabulous luck to know each of these dedicated, hardworking individuals. 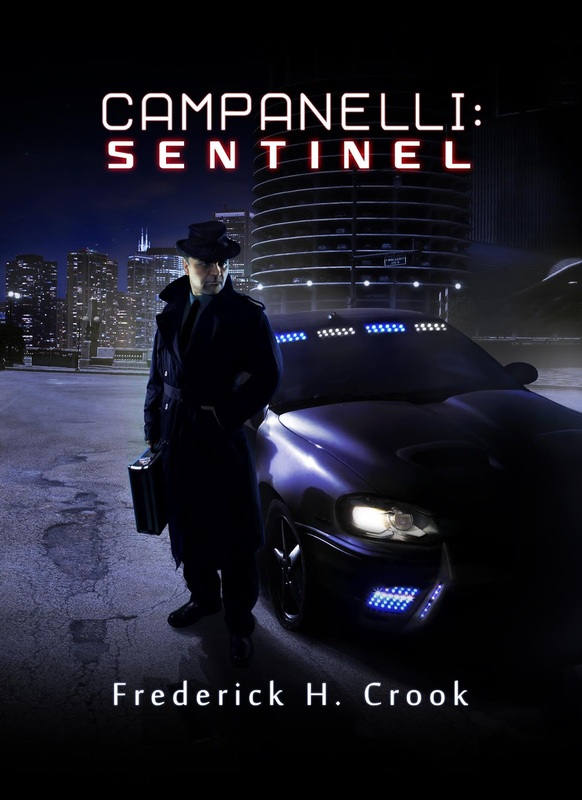 Frederick H. Crook appears today with his tales Campanelli Sentinel and Campanelli Siege of the Night Hunter. This fantastic series features a blind Chicago police detective, doing his best to enforce the law in a post-apocalyptic world. Frank Campanelli is a blind Chicago Police detective who depends on his fully functional bio-electronic implants to see and do his job. After assisting on a botched infiltration of a top human trafficking network, he and his partner, Marcus Williams, are transferred into the CPD’s Organized Crime Division to head the newly formed Sentinel group and bring down the Ignatola family business. June, 2110. 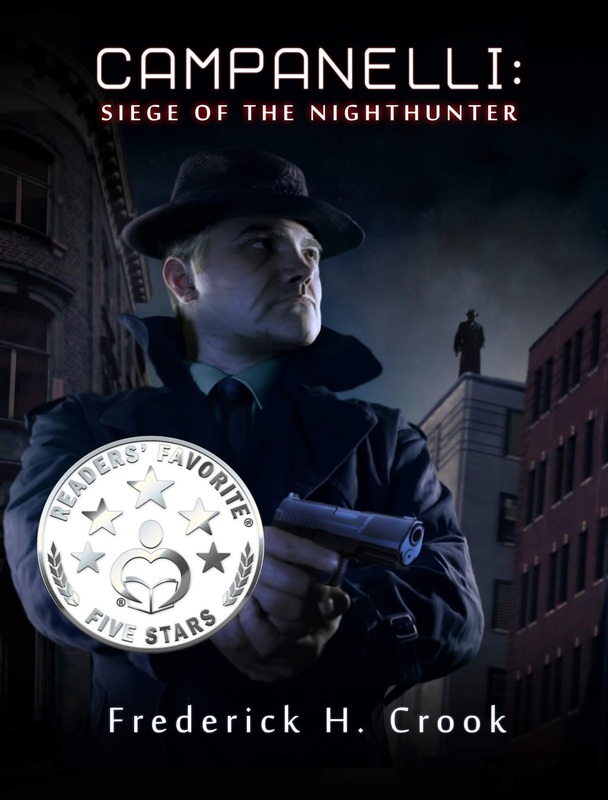 A serial killer strikes the populace of the City of Chicago. The first victim is wanted by Detective Frank Campanelli’s Sentinel Division. His body had been mutilated and been partially consumed. The unknown invader leaves a trail of corpses behind in short order, including that of a homicide detective. “The Nighthunter”, as the media has labeled him, instills terror and virtually shuts down Chicago. Detective Campanelli, his partner Marcus Williams, and the FBI must work to capture the enigmatic and frighteningly efficient cannibal. Frederick was born in Chicago in 1970 and now lives in Villa Park with his wife, Rae and their three miniature dachshunds. In 2009, Frederick began writing his first dystopian sci-fi novel, “The Dregs of Exodus”, which was self-published in late 2010. This was followed up with another novel, The Pirates of Exodus in 2012. Throughout that year and early 2013, he published four dystopian novellas in eBook form for Kindle. 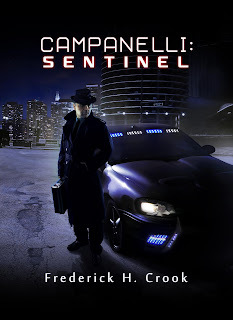 His third novel, Campanelli: Sentinel, was picked up by Solstice Publishing in 2014, and was quickly followed by his other works, Minuteman Merlin, Of Knight & Devil, Campanelli: Siege of the Nighthunter, and the paranormal historical fiction novel, The Summer of ‘47. For two years, Frederick served Solstice Publishing as an editor and continues to edit in a freelance capacity and write.